Son Gohan is the son of Goku and Chi Chi. Gohan is 1/2 Saiya-jin. Gohan gets kidnapped by Goku's brother Raditz, but Gohan's hidden powers allow him to attack Raditz to give Goku and Piccolo one last chance to defeat Raditz. Gohan at the time doesn't realize he has hidden powers. After seeing what Gohan did to Raditz, Piccolo realizes that Gohan has the potential to become the most powerful on the Planet. Gohan trains with Piccolo to prepare against the Saiya-jins. Gohan is a little kid and gets scared to kill Nappa when he has the chance. Gohan however overcomes his fears later, and helps Goku, Kuririn, and Yajirobi defeat Vegeta. Gohan also fights alot of battles on Namek, including some against the Ginyu force, and even brings down the tyrant Freezer for a minute. Gohan gains further power while on Namek. Gohan becomes a Super Saiya-jin in the Room Of Spirit And Time with help from his father Goku. Gohan goes Super Saiya-jin 2 in the Cell Games. Gohan is the first to reach Super Saiya-jin 2, and actually surpasses his father for the first time. Gohan then kills Perfect Cell. Gohan is only 10 or 11 at the time. However, Mr. Satan takes all the credit for killing Cell. 7 years pass and Gohan goes to high school. 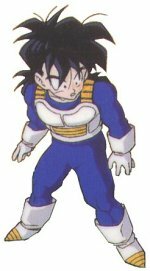 Gohan becomes a crime fighter called the Great Saiyaman, but his identity is eventually discovered by Videl, Mr. Satan's daughter. Gohan teaches Videl how to fly if she keeps a secret. 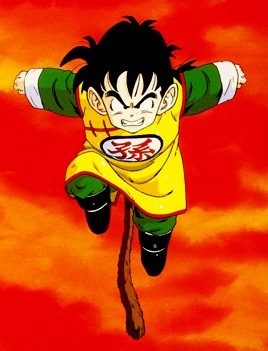 Gohan also teaches his younger brother Goten to fly. Gohan learns special training from Rou Dai Kaioshin, and Gohan reaches Mystic Form. But Gohan cannot be in Mystic Form and Super Saiya-jin form at the same time. Gohan in Mystic form looks exactly the same as he does when he's NOT a Super Saiya-jin. 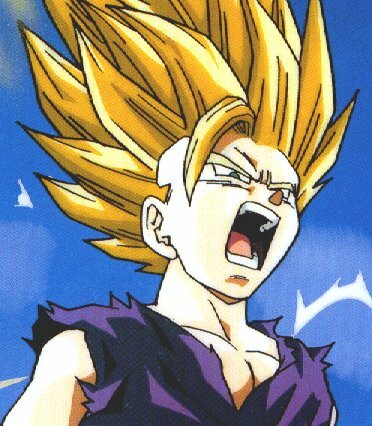 Gohan's full potential is never released, due to his mother constanly making him study as a child, and because he doesn't thirst for battle like full-blooded Saiya-jins. Gohan eventually marries Videl, and they have a daughter named Pan. Gohan in The Room Of Spirit And Time.